I’ve had the next full-length Sci-Fi Romance album written for over a year, but as it happens, newborn twins slow down recording schedules. The itch to record and get new music out has been terribly strong. 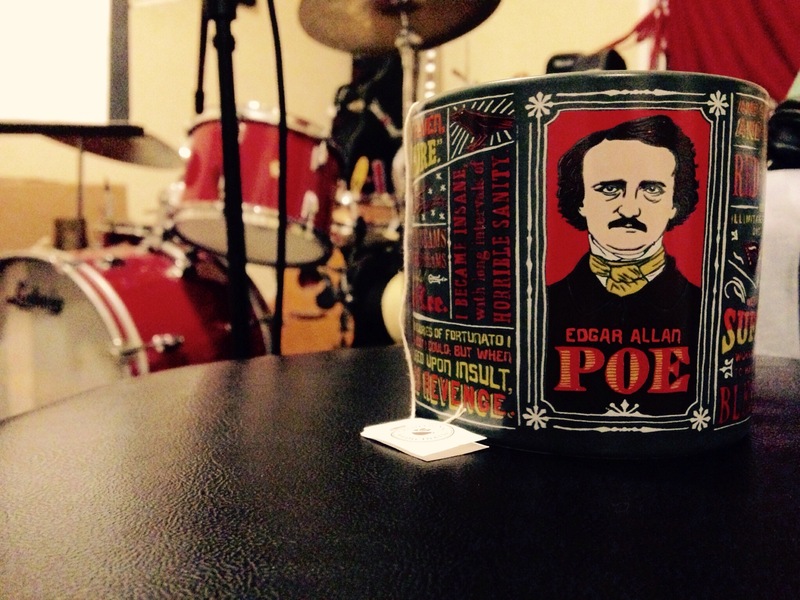 Hot tea for my voice in a thematically appropriate mug? Check! And here we are in October. The best month. Every year at this time, my wife and I watch as many old horror movies as possible. Vincent Price, Boris Karloff, Béla Lugosi, Roger Corman, Edgar Allan Poe, Val Lewton, and, in a concession to the still-living, Tim Burton. As we sat down to watch the first movie this year, I got an idea. It is undoubtedly a terrible idea, but God loves ugly children, too. Here it is a week or so later, and I’ve written songs inspired by each of the first half-dozen movies we watched this year. 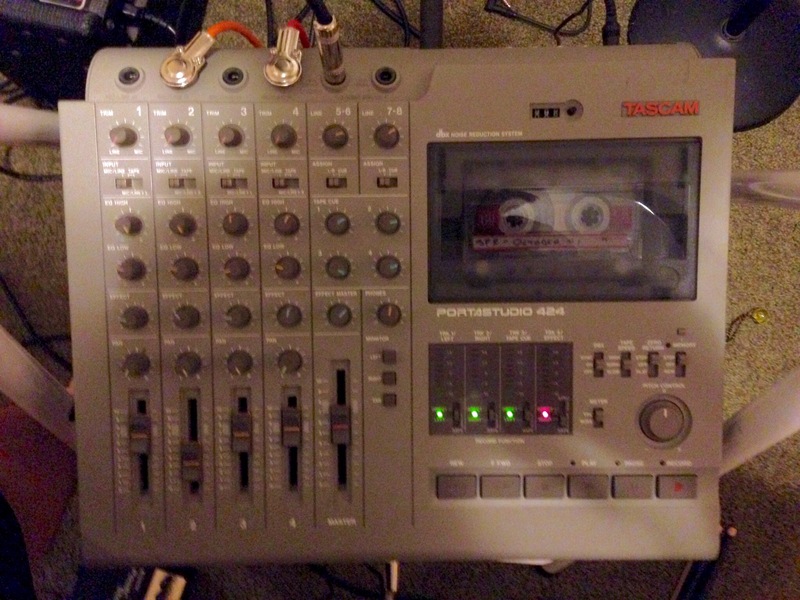 Since the movies are classics, I’m recording the songs in the quickest, dirtiest way possible — on a 20-plus year-old four-track tape recorder I haven’t used since probably 1996. 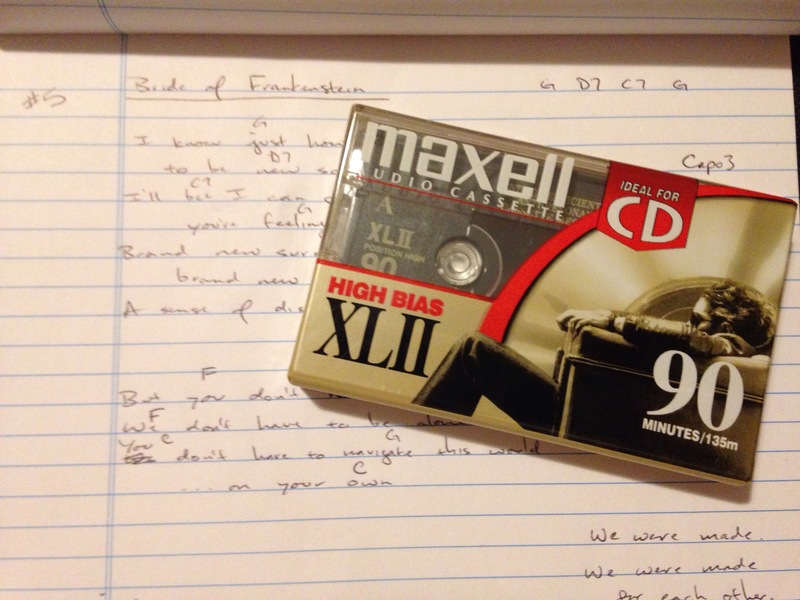 Everything is analogue, and with very few exceptions, each part is recorded in a single take. No computers. Just a few guitars, drums, an old Casio keyboard, some random things that go bang, and me. This is serious lo-fi. The instructions are dated 1990. Half of the songs are recorded and finished, and by next week the whole thing will be done and available as a free download. I figure, I made a concept album, why not a concept EP? Remember these? Never opened until now.